Westmeath's Robbie McCarthy celebrates after winning his fourth All-Ireland 4-Wall senior men's handball title. ©INPHO/Oisin Keniry. 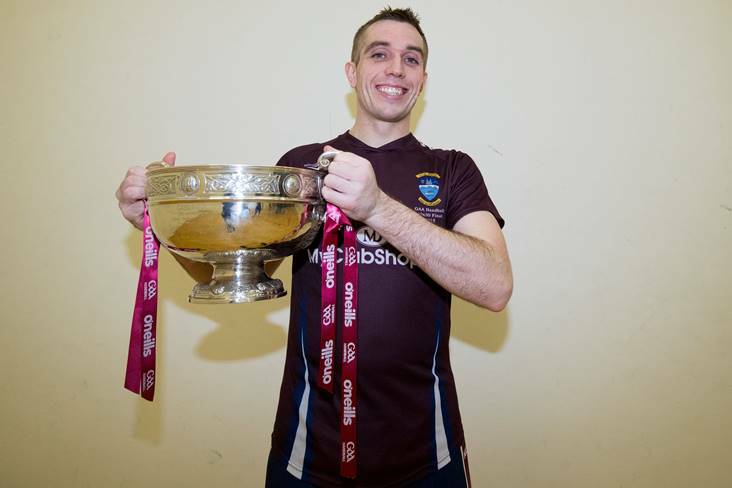 Westmeath's Robbie McCarthy won his fourth All-Ireland 4-Wall senior men's handball title just before midnight in Kingscourt last night following an epic battle with Diarmuid Nash of Clare. McCarthy had to dig deep to add the 4-Wall title to the All-Ireland 40x20 and 60x30 crowns he won last year. 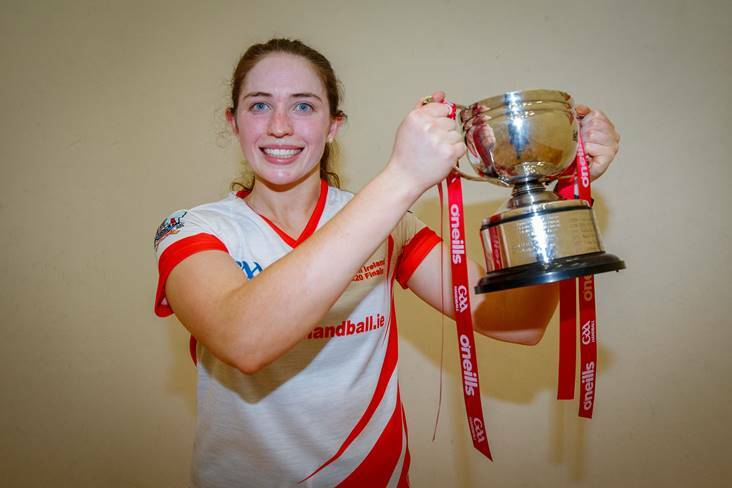 Cork's Catriona Casey lifts the All-Ireland 4-Wall senior ladies trophy. ©INPHO/Oisin Keniry. Cork's Catriona Casey also claimed her fourth All-Ireland 4-Wall senior ladies title after a tie-break win over Limerick's Martina McMahon. It was a case of third time lucky for Casey after she had lost the last two finals to the same opponent. Eoghan McGinnity captured a first-ever All-Ireland 4-Wall minor boys' title for Moanghan after defeating Clare's Mark Rodgers 21-10, 14-2, 21-13, while Kildare's Leah Doyle was crowned All-Ireland 4-Wall minor girls' champion after defeating Niamh Heffernan of Galway 21-8, 21-16.